Don’t skip breakfast, but don’t eat a carb heavy breakfast. Eat small amounts of protein and healthy fats with each meal. Add LOTS of nutrient dense vegetables and a little fruit to your diet for volume. Increase your water intake and add green drinks when possible. Eliminate sugar and simple carbs for at least two weeks to reset your hormones. By following this simple formula your hormones will once again begin to send the signal to your brain that you’re full and satisfied. Sugar and processed foods hijack your hormones! Therefore, confusing the signals to your brain that may still tell you you’re hungry even though you just ate. In other words, the more you eat sugar and simple carbs the more you crave them. When you don’t eat carbs you don’t crave them. If you’ve completed the Brain Warrior’s Way Class*, you know that we recommend eating a 70/30 diet: 70 percent of your calories will come from plant foods and 30 percent will come from high quality protein foods. Healthy fats will come from both the plant and protein foods you choose. Eliminate toxic foods for at least two to three weeks. Some toxic substances are best eliminated for good, or at least consumed minimally, not in moderation. Sugar, grains, all gluten, breads, white flour, or simple carbohydrates of any kind increase inflammation in the body and offer no health benefits. Other foods will be eliminated for now and eaten in small amounts later, sort of like a condiment (if you do not react negatively). These foods include some dairy products (if tolerated) and gluten free grains. Think of natural sugars like maple syrup, honey, coconut crystals, and any other sugar that elevates blood sugar (organic or otherwise), as “recreational drugs”. Use them with extreme caution, in minimal amounts and only on occasion. Also, know your limits. Let’s face it some people can enjoy a glass of wine without getting drunk or becoming “addicted”. For others, drinking alcohol is a trigger that can lead to total destruction. Sugar is very addictive and it’s everywhere. Let’s get practical and talk about what Brain Warrior meals and snacks are made of. Protein– curbs hunger, helps keep blood sugar stable, boosts concentration and helps with weight loss. 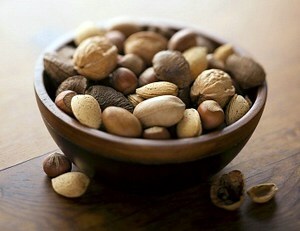 Best sources include fish, poultry, eggs, raw nuts and seeds. Fermented tofu and legumes are a good source of protein for vegans. But think of legumes like a condiment (not more than ½ cup 2-3 times/ week) and eliminate them altogether if you have digestive issues. You’ll also get protein from some vegetables, including broccoli and spinach. Be sure to eat a portion of protein at least 3-4 times a day, or every 3-4 hours. For each meal: 3-4 ounces for women, 4-6 ounces for men. Examples: Eggs, plant based protein powder, fish, poultry, bison, canned wild salmon and organic tofu for vegans. Use the palm of your hand (including the thickness) as a guide for the amount of protein to consume with each meal. Help you feel full, improves nutrient absorption, aid in brain health, hormone synthesis and cholesterol reduction. Best sources include avocados, tree nuts, seeds, salmon, and healthy oils such as coconut oil, macadamia oil, and extra virgin olive oil. 30-50% of your diet should be healthy fat, from both plant and animal sources- taken from both sides of the 70/30 equation. Meals are approximately 10-15 grams fat (100- 150 calories) from coconut, avocado, flax, eggs, or other healthy sources. Examples: coconut, avocado, flax and eggs. Snacks are approximately 5- 10g fat (50- 100 calories). Examples: olive oil, 1 Tablespoon nuts, or 2 ounces avocado. Eliminate all trans fats and partially hydrogenated oils. 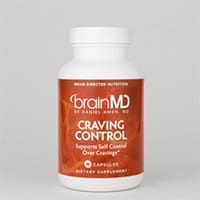 Provide quick energy to your body and brain. Best sources are vegetables as well as fruit in small amounts. Limit fruit to ½ cup of organic berries or one piece of low glycemic fruit for the first several weeks on the program. 70 percent of your daily calories should come from plant based, complex carbohydrates. Eliminate or minimize simple carbs that quickly turn turn to sugar like bread, pasta, white potatoes, rice and processed snack foods. Aim to eat at least seven servings of vegetables and a little fruit each day, or about 1 cup with each meal and snack. Examples: smoothies with berries and greens, salads, cauliflower rice pilaf, chopped veggies with hummus, half an apple with nut butter. For the first two weeks, we suggest minimizing desserts to help crush your cravings. If you really want something sweet, try a 1/2 ounce piece of sugar free, extra-dark organic chocolate, another smoothie, or ½ cup of mixed berries with 1 tablespoon of coconut whipped cream. As your hormones reset in these early days, you’ll be amazed at how sweet natural fruits and vegetables taste. In future weeks, there will be more room for desserts. Learn how long cravings usually last here. For recipes to help get you started click here. Also, grab yourself a copy of The Brain Warrior’s Way Cookbook* here or from your local library.